With a point of departure in fieldwork conducted among Muslims connected with – or inspired by – the Naqshbandiyya Sufi tariqa in Post-Soviet Uzbekistan, this paper focuses on the paradoxes involved in realizing Sufism as virtue ethics. Through a continuous work on the self the Naqshbandis seek to approach God as well as to realize Sufism as this-worldly virtue ethics. What stands out as central in their experience of this process, however, is neither the encounter with the Divine, nor their own ethical perfection. Rather, it is insistent feelings of vulnerability, doubt and imperfection and a sense of being further and further away from the ideals of Sufism the more they seek them or seek to realize them. The paper will focus on these paradoxes – paradoxes which may be general to Sufism as such, or which at least lie as a potential in Sufism as well as other religious traditions which seek to realize transcendent ideals in an imperfect world, but which are accentuated in a context like the post-Soviet one: Here they are tied to the historical experience of loss related with the Soviet years as well as the social upheavals following the breaking up of the Soviet Union. Maria Louw er ph. d. i antropologi og lektor ved Afdeling for Kultur og Samfund, Aarhus Universitet. Hun har i en længere årrække beskæftiget sig med religion og sekularisme i det post-sovjetiske Centralasien (Kirgistan, Kasakhstan, Tadsjikistan, Turkmenistan og Usbekistan) og er blandt andet forfatter til monografien Everyday Islam in Post-Soviet Central Asia (Routledge 2007). 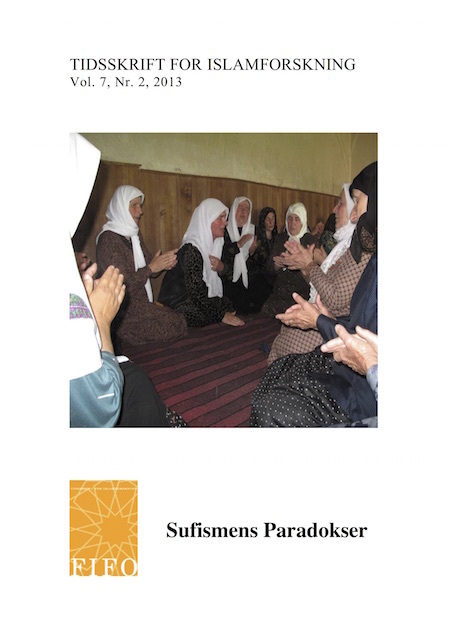 Hun er i øjeblikket tilknyttet det tværdisciplinære forskningsprojekt “Sufism and Transnational Spirituality: Experience, Meaning, and Networks in the Global Rise of Islamic Mysticism” ved Aarhus Universitet.